Play also comes with a legacy static routes generator that works with controllers that declare actions as static methods. This is generally not recommended because it breaks encapsulation, makes code less testable, and is incompatible with many of Play’s new APIs. The code samples in Play’s documentation assume that you are using the injected routes generator. If you are not using this, you can trivially adapt the code samples for the static routes generator, either by prefixing the controller invocation part of the route with an @ symbol, or by declaring each of your action methods as static. 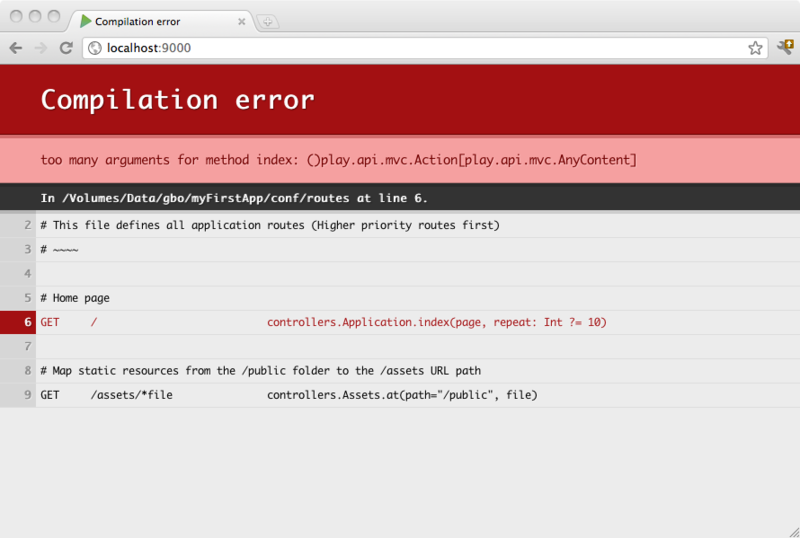 Note: The Http.Request passed from the controller is cast to a Http.RequestHeader in the view parameters.